Always going further, so you can too. Carlson Wagonlit Travel is always going further to create remarkable and rewarding group travel experiences. From the first call to the final farewell, you can expect a personalized, hands-on partnership with a dedicated CWT Travel Advisor to create a group travel program to fit your needs. CWT features a diverse selection of group travel experiences, including personal and special interest groups, to truly remarkable destinations around the globe. 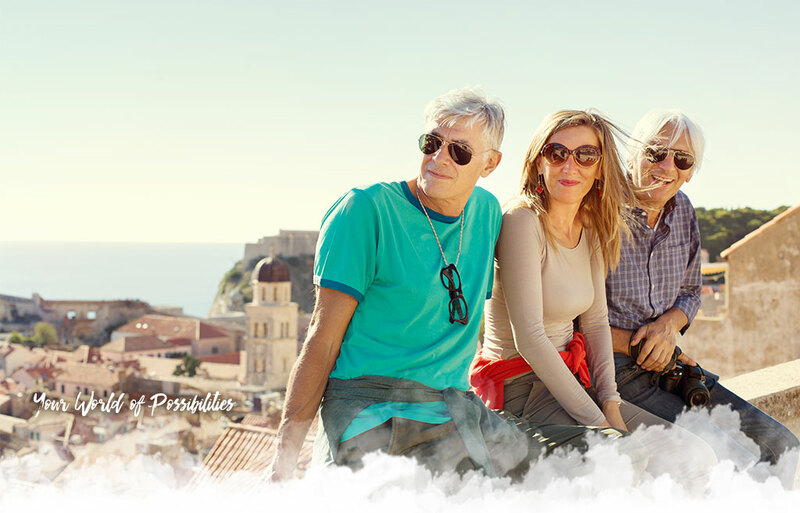 Spend time with individuals who also share your passion for travel, plus, enjoy exclusive travel savings and added perks. Contact your CWT Travel Advisor to book today! 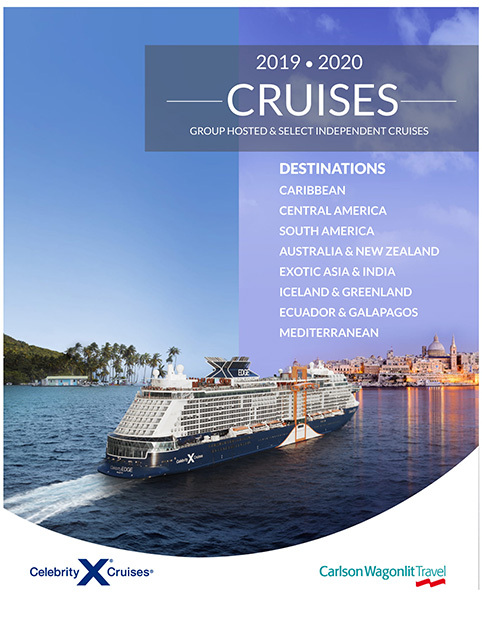 Visit the four corners of the world in 2019-20 with our latest group brochure featuring unique cruise tours with Celebrity Cruises. This CWT-curated collection will have something to suit every taste. Sail alongside glaciers as whales breech the icy waters in Alaska. Discover Iceland, the land of “fire and ice,” and the wild tundra of Greenland. Explore exotic Asia with a tour from Dubai to Singapore. Relax and recharge in the sunny Caribbean, experience the culinary delights of the Mediterranean, or adventure to the land down under on the Australia and New Zealand itinerary. Your world of possibilities awaits. Our experienced and friendly CWT Travel Advisors are here to help you plan your dream getaway. Call 1-800-227-5766 or click here to view our 2019-2020 brochure now. 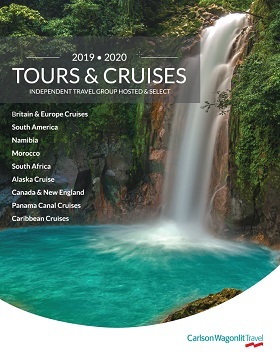 Our new Tours & Cruises group travel collection for 2019-2020 features CWT curated cruise and land tour experiences to suit every taste. Adventure to the Galapagos on a Celebrity cruise tour to see the extraordinary wildlife; enjoy the warm, local hospitality and scenic ocean views on a Globus tour of Newfoundland; or cruise through one of seven wonders of the modern world, the Panama Canal, aboard a Holland America Line ship; and much more. Call 1-800-227-5766 or click here to view our 2019-2020 brochure now. X Refer to attached flyer for payment schedule and cancellation penalties. This six day tour includes superior accommodation, seven meals, entrance fees; excuriosn to Machu Picchu aboard Vistadome train; licensed tour guide; sightseeing; airfare Lima to Cusco and return. This tour can be taken after the Celebrity Cruise from Buenos Aires to Santiago. Spend one night in Fort Lauderdale, then sail for 12 nights to the Caribbeans finest ports of St. Kitts, Antigua, St. Lucia, Barbados, St. Vincent, Grenada, and St. Croix. The perfect family holiday getaway! transfer from hotel to ship, 10 night cruise, including all meals and entertainment, cruise taxes, fees and port expenses, prepaid gratuities for stateroom and dining staff. The Celebrity Reflection ship is your home for two days and three nights during the spectacular Mardi Gras in New Orleans. Enjoy a night in Fort Lauderdale then sail aboard Celebrity's newest ship, THE EDGE, to Key West, Cozumel, Costa Maya, and Grand Cayman - the perfect family week getaway!